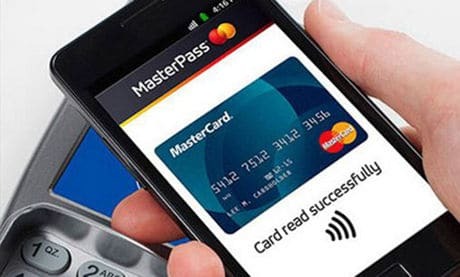 Mastercard has unveiled an enhanced version of its Masterpass digital payment platform, adding in-store NFC mobile payment capability to the service that has so far only been available for online and in-app payments. “It enables consumers to look no further than their own trusted banks to make fast, simple and secure digital payments across devices and channels, anywhere they want to shop — online, in-app and now in-store using contactless,” the payment network says. “Masterpass also leverages the most advanced methods of payment security available today, including network tokenization. “Consumers have the ability to use the connected device of their choice to make payments online or in-app via Masterpass, not being restricted to specific operating systems, device manufacturers or device models. NFC contactless capability will be made available to Android device owners for in-store tap and pay purchasing. The financial institutions initially supporting the enhanced Masterpass service include Ally Bank, Associated Bank, Bank of America, Bank of the West, BMO Harris Bank, Capital One, Central Bank, Citi, Fifth Third Bank, First Hawaiian Bank, First Tech Federal Credit Union, KeyBank, People’s United Bank, Security Service Federal Credit Union, SunTrust and Virginia Credit Union. Masterpass is currently available at “hundreds of thousands of merchants” online or in-app including Firehouse Subs, Masabi, MLB.com and MLBShop.com, Office Depot and ParkMobile. “More than 80m accounts will be automatically enabled through issuing partners as the service rolls out globally,” Mastercard continues. “The roll out of Masterpass-enabled solutions from issuers in the US begins later this month. “The enhanced digital payment functionality helps issuers differentiate existing products, including mobile banking apps, by integrating digital payment functionality and new services like purchase alerts and paying with points,” the company adds. “With billions of cardholders across the globe, we are working with our issuers and merchants to ensure that we’re delivering digital payments that support consumer expectations for a familiar and secure payment experience both now and in the future,” says Craig Vosburg, president of North America at Mastercard. It is great that Mastercard is giving us one more cardless, contactless, and (credit card account) numberless choice. Now if the would just stop issuing magnetic stripe cards, we would all be safer. Contactless EMV cards, such as they are shipping in Europe might be nice too. Is it going to take law suits or legislation to get rid of magnetic stripes? It’s going to take chip and pin or NFC payment becoming ubiquitous. I recently was on vacation and credit card payments at the hotel were handled with carbon paper and a slide press because they had no internet and only one phone line. Implementing so-called chip-and-PIN authentication for U.S. credit cards would cost merchants and card issuers more than $7 billion but prevent only about $850 million in lost-and-stolen card fraud over five years, a new report from Aite Group LLC says. If we are waiting for Chip and PIN, will wait a long time. On a recent trip to Denmark, they keyed the credit card number from my mag-stripe-only card into their Chip-and-PIN-only POS device. Mag-stripe is so badly broken that we must find a better way to achieve backward compatibility. Ubiquitous NFC would be sufficient but is not likely or necessary. Too few mobiles have NFC radios. On the other hand all have broadband and most have cameras and displays. This is enough for cardless, contactless, and (credit card account) numberless. We have the technology. What we lack is the leadership of the brands. They seem to think that they are in the “card” business rather than the “credit” business or the retail commerce business. Magnetic strip is not broken, the European regulatory system is broken because they have damn near made it illegal to use magnetic strip. As your other reply points out, chip and pin is a waste of money (and time), magnetic strip is just more efficient. As far as NFC not being in most phones, that is entirely planned obsolescence – almost all phones have the hardware to support NFC, but it is artificially disabled; Microsoft currently sells a $15 phone in India and SE Asia (branded as a Nokia) that has NFC. When most people start looking to NFC as a key feature in a phone, all phones will have it – even feature phones. If Apple can do online, MasterPass can do point of sale.